Earlier this year, in the Dynamex Operations West, Inc. v. Superior Court of Los Angeles decision, California’s Supreme Court unanimously announced a new test for determining a worker’s status as an independent contractor. This new test makes it more difficult for employers to establish that an independent contractor relationship is present. 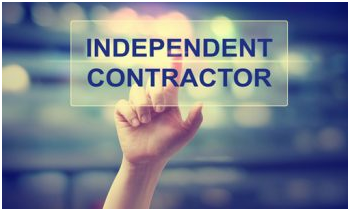 Previous to this decision, California courts had applied the Borello test for determining whether a worker was properly classified as an independent contractor. However, this flexible approach is now replaced with the ABC Test, modeled after Massachusetts’ independent contractor law, which has been classified as the strictest in the country. The new standard, the “ABC Test,” has three prongs, and if all three prongs are met, the worker shall be considered an independent contractor. The California Supreme Court held that it is the employer’s burden to prove that each of the three prongs, discussed below, are met in order to establish an independent contractor relationship. Although all employers should be alert to this decision, the Court did limit its holding to issues raised under Industrial Welfare Commission Wage Orders, which covers overtime, minimum wage, and breaks. In the first part of the test, the hiring entity must prove that there is an independent contractor agreement in place that contains language declaring that the worker shall maintain control over the performance of the work. In addition, the entity must also prove that the worker does, in fact, have control of the work on a day-to-day basis. • a cake decorator who works for a bakery on a regular basis to provide custom-designed cakes is an employee because his services are within the usual course of the bakery’s business. The third and final part of the test considers whether the worker is “customarily engaged” in an independently established business of the “same nature” as the work performed for the hiring entity. Specifically, the Court suggested that an inquiry must be made into whether the worker has decided to “go into business for himself or herself.” It is not enough that the employer has allowed the worker to provide similar services elsewhere. If a hiring entity fails to prove one or more prong of the test, it could face serious ramifications for misclassifying its workers. Specifically, California misclassification carries statutory penalties of $5,000 to $15,000 for each “willful” violation. Misclassifications can also result in liability for back wages, penalties, and other applicable fines. Businesses all across the state should conduct re-evaluations of their independent contractor relationships. If you are an employer and have questions about proper classifications of your workers, contact Afshin Hakim of Hakim Law Group, a leading business lawyer in Los Angeles, who can provide you with the proper guidelines of employee classifications, and help prevent any future issues. To schedule an appointment please contact HLG at 424.299.8913 or visit www.HakimLawGroup.com to learn more.